Mussel Rock Park, Daly City, CA. 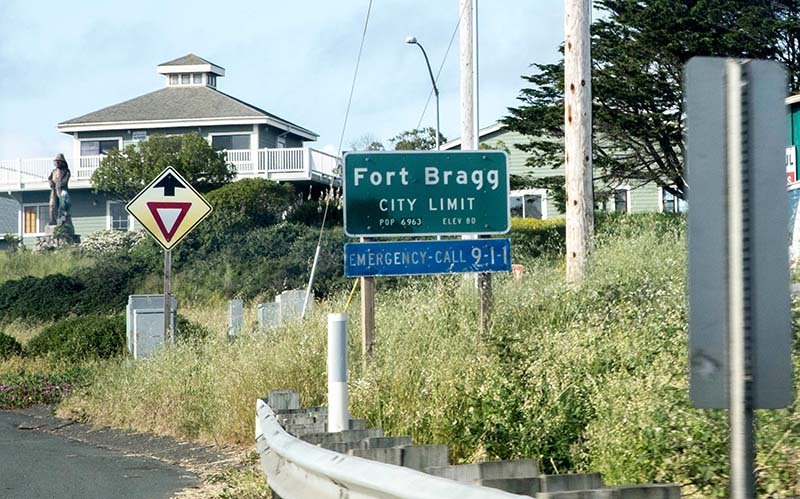 The city of Fort Bragg got its name from a local fort built in 1857 to maintain order at a nearby indian reservation. After the fort and reservation were abandoned in less than a decade, Fort Bragg began its rich history as a milling town and busy port for regional lumbar companies. 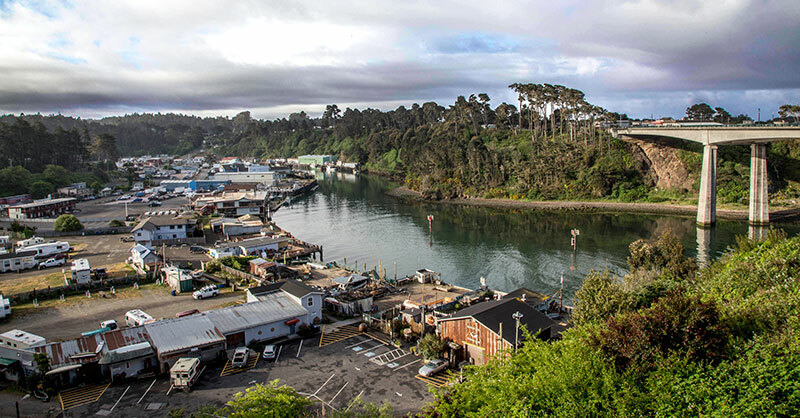 Fort Bragg is the largest city on the Mendocino coast and is less than 10 miles from city of Mendocino. 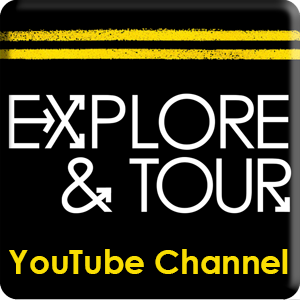 Its offers travelers a large selection of affordable food and lodging options. See our Harbor Lite Lodge review. 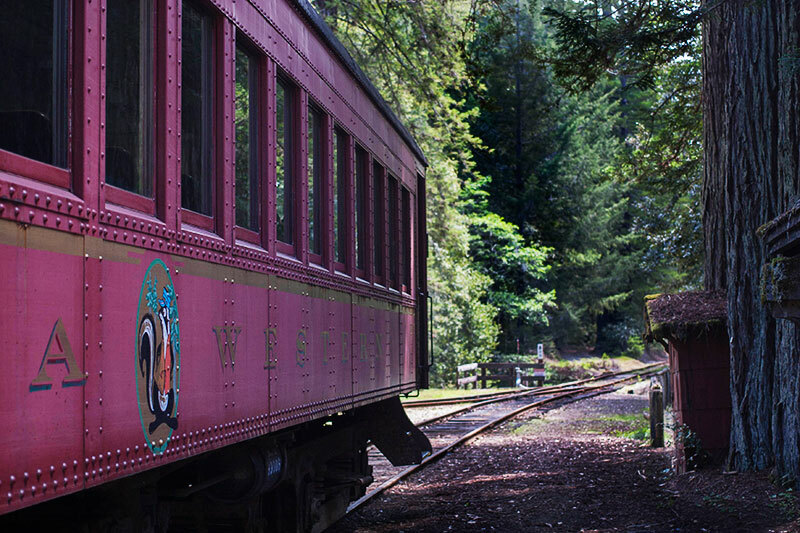 The Skunk Train – For train buffs, this is often then main reason for traveling to the region. The leisurely scenic journey takes visitors through towering redwoods along the Noyo River. Glass Beach – Until 1967 locals simply threw their trash into the ocean off of Fort Bragg. Glass bottles in the trash were broken and smoothed by waves, washing ashore to create a “Glass Beach”. While its fun to uncover colorful pieces of glass, the rocks are protected by law and must be left behind for others to enjoy. 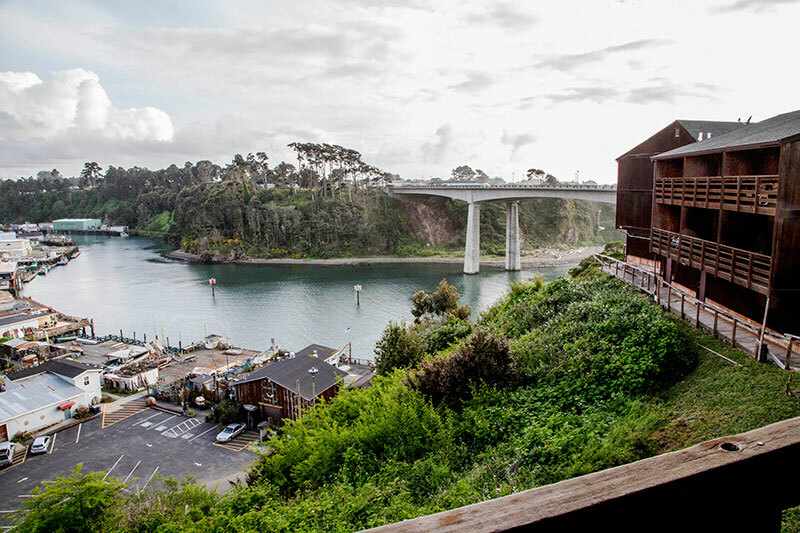 Mendocino – Perched high on an ocean cliff, Mendocino’s historic downtown is the most famous romantic getaway in the region. Historic architecture, galleries, restaurants and cliff hugging paths have made this artist colony a popular tourist destination for over a half century. 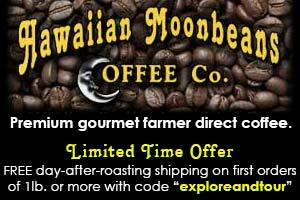 Its less than 10 miles from Fort Bragg. Bodega Bay – A great stop if you’ll be traveling south along the coastal highway. A scenic bay made famous by Alfred Hitchcock. Santa Rosa – If you’re traveling south along HWY101, its a great spot to fill up on gas, grab a bite to eat and stroll the historic downtown or railroad districts.